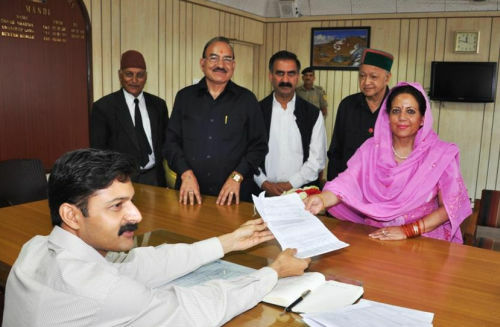 Indian National Congress candidate Pratibha Singh has filed nomination papers for the Mandi Parliamentary Constituency. She was accompanied by Chief Minister Virbhadra Singh, Himachal Pradesh Congress Committee president Thakur Sukhvinder Singh Sukhu, Health Minister Kaul Singh Thakur, many MLAs, several other leaders and thousands of supporters. 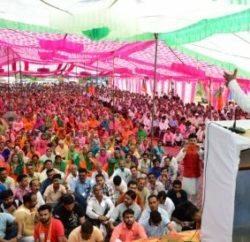 Soon after the nomination process, Virbhadra Singh and Pratibha Singh addressed a rally and accused the BJP of playing “divisive” politics in the name of caste, religion and region. Virbhadra Singh accused former BJP tenure for promoting politics of region and caste and added that the Congress government of state was trying to put the economy and administration back on track and has launched a crusade against corruption. He reiterated his stand over the corruption allegations made in the charge-sheet prepared by Congress during the BJP rule in the state and announce to probe them and promised to take them to logical ends. 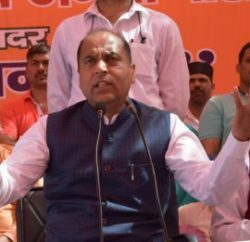 BJP candidate Jai Ram Thakur will file his nomination papers on June 1. 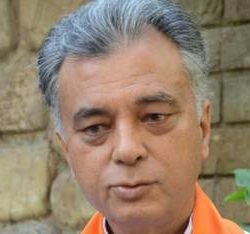 State BJP in-charge Balbir Punj, senior leader Shanta Kumar, leader of opposition Prem Kumar Dhumal, senior leader JP Nadda, state president Satpal Singh Satti, Pawan Rana and other legislature and party office bearer would be present at the occasion. BJP will also hold rally and its senior leaders will also address party workers at Mandi.